Kind of surprisingly, the lists only have 3 out of 10 women in common. Olivia Wilde was first choice among Ranker voters, and came in 5th in the Maxim list. 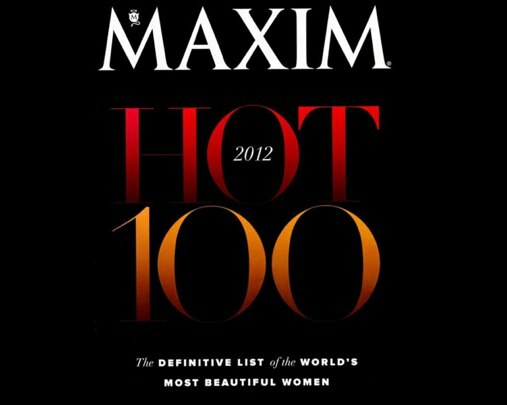 Megan Fox just eked into the Ranker Top 10 in 10th place, while Maxim readers had her a bit higher at 8. And Mila Kunis landed in 3rd place on BOTH lists, clearly the safest possible pick for the bronze medal. So that’s KIND of interesting, but we thought a deeper look at some of the Maxim picks and Ranker picks might give us even more insight. Specifically, we sort of wondered if we could tell the differences between the tastes of Maxim and Ranker readers and voters. And not just taste in women, but movies and TV as well. Step One was to do some quick data analysis of votes for women who made the Ranker list and the Maxim list, and compare and contrast the results. To do this, we plugged all of the ladies listed above – the Ranker Top 10 and Maxim Top 10 – into our data comparison tool. This tells us all sorts of deep information about how users who have voted these people “up” in Ranker’s “Hot 100” (meaning they find them attractive) feel about other women, about TV shows, about movies, even their picks for favorite foods and bands. In fact, the first and most obvious thing we learned is that EVERYONE, and we mean EVERYONE, loves them some Kate Upton. We barely looked up any women at all whose fans hadn’t also identified Kate Upton as a personal favorite. It’s pretty rare to find anything approaching a “unanimous” decision when it comes to votes in Ranker. We’re talking thousands of people individually voting on thousands of lists containing tens of thousands of items. Yet the acclaim for Ms. Upton approaches the popularity of things like oxygen and drinkable water. There were some STRONG disagreements, however, to compliment the universal love for The Upton. Maxim fans STRONGLY took issue with the popular Ranker picks Adriana Lima, Blake Lively and Natalie Portman. In fact, NONE of the women in Maxim’s Top 10 had fans who also liked Adriana Lima. NOT ONE. 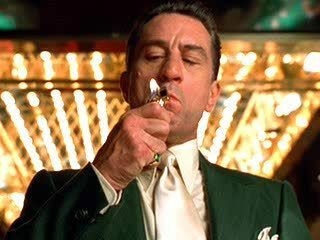 – Maxim fans love Martin Scorsese films and TV shows. “Boardwalk Empire” was STAGGERINGLY popular with people who liked Olivia Munn and Jennifer Lawrence. (You’re about 400% more likely to enjoy it if you also enjoy looking at these women.) “Casino” and “Goodfellas” also showed up frequently in this group. True, fans of some of the Ranker picks – especially Natalie Portman – also cited Casino as a favorite – but not in numbers that were as overwhelming. – Lots of voters from both groups enjoyed “House” and “Louie” and NBC’s sitcoms, “30 Rock” and “Community” in particular.